April 29 (Bloomberg) — Empresa Nacional de Electricidad SA, Chile’s biggest power generator, said first-quarter profit more than doubled as revenue rose in Chile. Net income rose to 166 billion pesos ($283 million) from 68.4 billion pesos a year earlier, the Santiago-based company said today in an e-mailed statement. Revenue jumped 24 percent to 660.8 billion pesos. “We’ve seen an increase in generation in the first quarter” in Chile, Pamela Auszenker, an analyst of BCI Corredor de Bolsa SA said in a telephone interview today. She has a “buy” rating on the stock. Fuel costs fell in Chile and hydropower capacity rose after rainfall returned following a drought that hurt generation last year. Rising energy prices also increased profit in Colombia and Peru, the company said. Net income beat the 126 billion peso average estimate of four analysts surveyed by Bloomberg. 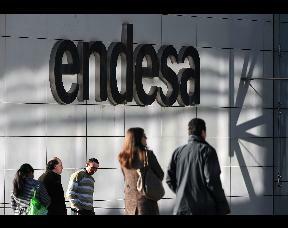 Endesa rose 11.85 pesos, or 1.6 percent, to 754 pesos in Santiago trading.